The North Coast Transition Society held a vigil in Prince Rupert for the 14 women murdered at École Polytechnique on Dec. 6, 1989. Dec. 7, 2016 2:00 p.m. 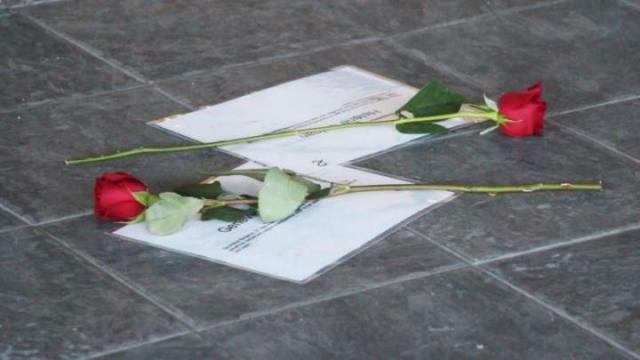 The North Coast Transition Society held a vigil in memory of the 14 women murdered at École Polytechnique on Dec. 6, 1989. Over the lunch hour, members of the community met at the Northwest Community College and silently listened to a presentation that encouraged the end of violence and hate toward women. “Each year the North Coast Transition Society (NCTS) holds an event and a vigil to mark that,” said Martina Perry, the homeless prevention outreach worker for the NCTS. This year, Mayor Lee Brain and Rosa Miller spoke about fair and equal treatment of women, and staff from NCTS read a poem about each of the 14 women who lost their lives. Twenty-seven years ago, a gunmen entered the engineering school in Montreal and shot 28 people, killing 14 women and then he committed suicide. After the massacre, Dec. 6 was pronounced the National Day of Remembrance and Action on Violence Against Women.